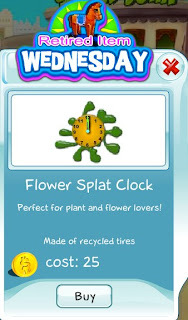 It's Retired Item Wednesday again and today we're retiring the Flower Splat Clock. This would look great on your wall at home. 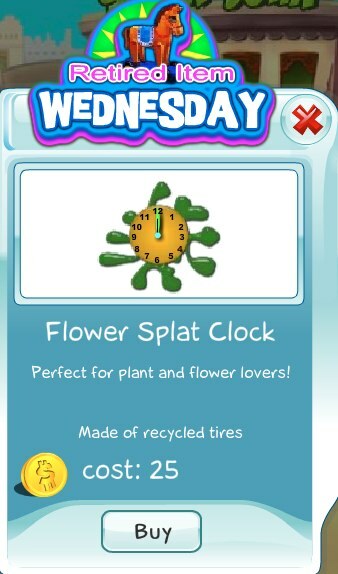 It would only be available till midnight Wednesday, and then would never be offered again!